By Audrey Golden. Sep 23, 2015. 9:00 AM. 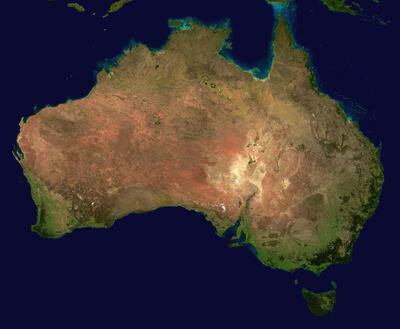 Australia is a vast country with a long Aboriginal past and a more recent history of colonization and violence. Yet when we think of this region of the world, these aren’t always the topics that immediately come to mind. To be sure, many of us think of adventures in the Outback, waves crashing along Bondi Beach, or sounds emanating from the Sydney Opera House. Rather than focus on tourist tropes of the country, however, we’d like to offer you some reading recommendations that can bring to light the intertwining histories of this immense region. Richard Flanagan is a novelist who hails from Tasmania. The author won the 2014 Man Booker Prize, and he has now written four acclaimed novels. We’d like to tell you a bit more about his third book, Gould’s Book of Fish (2001), which won the Commonwealth Writers Prize. The text introduces us to early nineteenth-century Australia. Our narrator is none other than William Buelow Gould, a real-life forger and thief who was sentenced to nearly half a century of imprisonment on Sarah Island, which was a penal colony off of what is now Tasmania. While he was in prison, Gould created nearly thirty fish paintings, which are now maintained in the State Library of Tasmania. In Flanagan’s novel, the author fashions an “autobiography” of sorts for Gould. But it isn’t a traditional novel, to be sure. Each chapter is composed in a different color of ink, mimicking the materials that the real Gould might have accessed. From blood ink (red) to ink made from a sea urchin shell (purple), the book brings its readers into a convict’s history — untrustworthy and constantly questionable — of the country in the 1800s. 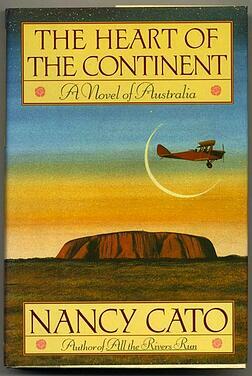 Nancy Cato was born in Adelaide in 1917. She studied English and Italian, and traveled throughout Australia and parts of Europe. In roaming through the country, Cato became fascinated with the Murray-Darling river system and, according to one scholar, “its own ecological, social, and political history.” Given these interests, Cato began writing what would become a three-volume epic known as All The Rivers Run (1958-1962). Thomas Keneally rose to international prominence with his Booker Prize-winning novel Schindler’s Ark (1982), which was adapted for the screen as Schindler’s List in 1993. Before his Holocaust novel drew global attention, however, Keneally attempted to address the exploitation and genocide of Aboriginals in his 1972 Booker Prize-nominated novel The Chant of Jimmie Blacksmith. Many reviewers praised the novel about indigenous Australians and the problem with contemporary race relations in the country. However, the novel (and its subsequent cinema adaptation) have drawn concern among scholars and critics who question whether white writers such as Keneally should really be addressing the perspective of Aborigines. According to an article in The Guardian, “Keneally himself said he was wrong to have written the book from an Indigenous person’s perspective.” But does this mean we shouldn’t read the novel? Not at all. The narrative follows Jimmie, a half-caste Aboriginal man, who “embarks on a mission of murderous revenge after suffering injustices at the hands of white farmers.” The story is based on the real-life existence of Jimmy Governor, who was executed for his crimes in 1901. Interestingly, it’s difficult for almost any contemporary writer from the region to move away from the question of Aboriginal rights and reparations. Flanagan actually addresses the issue of race in Gould’s Book of Fish, and numerous novels have questioned the role of the government in perpetuating a history of violence, such as Gail Jones’s Sorry (2007). In short, there’s simply no shortage of recent novels on Australia if you’re looking to delve into the country’s political history. And if you’re more interested in ecology and the varied geographies of the region, there are novels out there for you, too.